Having your glass replaced is not an every day occurrence and can be a daunting process however the main priority for most people is to find a glazier who offers a fast and reliable service. 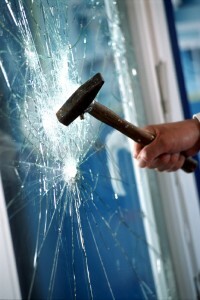 By choosing Valiant you can be assured that our professional team can solve any problem associated with broken glass. Over Valiant’s 35-year history our company has evolved with new products and technologies to provide one of the industries premier glass replacement services. Whether your glass is old or new our qualified staff can provide a solution for almost any situation by offering a safe and reliable same day service for most types of glass. Our team of glaziers are available throughout Sydney 7 days a week for emergency glass replacement, whilst we offer 24hr telephone support to book your glass replacement. After hour’s glass replacement is generally reserved for true emergency situations however our weekend glazing service is a convenient way to have your glass replaced without disrupting your working week. Glass can be a dangerous product therefore Valiant’s glass installations comply with the requirements of Australian Standard AS1288. The standard is regularly updated and requires glaziers to stay in tune with what is happening with this building code. At Valiant we pride ourselves on safety and see it as our number one priority for both our staff and you.